Ilene Mae Heckler, 88, of Carmi, passed away at 5:55 a.m., Monday, November 12, 2018 at Carmi Manor. She was born in Marissa, St. Clair County, IL on June 9, 1930, the daughter of Paul Henry and Anna Lou (Lehr) Kloepper. Ilene married Roger Wayne Heckler on June 19, 1960 and he preceded her in death on January 21, 2014. She attended Murphysboro High School for three years and graduated in 1948 from GCHS in Gorham, IL. She went on to receive her Bachelor's Degree in Education from SIU-Carbondale in 1951, her Master's Degree in Education from ISU in Terre Haute, IN in 1963. In 1967 she qualified as a Vocational Business Education Teacher. Other colleges she attended include Wabash Valley Jr. College in Mt. Carmel, IL, University of Illinois in Champaign, IL and ISUE in Evansville, IN from 1973-1976. Ilene worked as a teacher at Carmi Community High School from 1961-1970 and later retired from Crossville School in 1981. 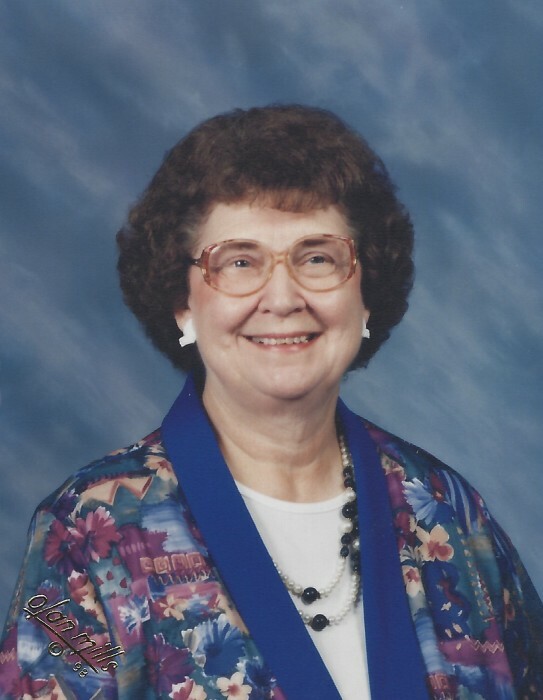 Ilene was a member and served in various positions in PI Lambda Theta, Sibea, Delta PI Epsilon, life member of Delta Kappa Gamma, PI Omega PI, White County Teachers Association, Illinois Education Association, National Education Association, Southern Illinois Reading Council, Wabash Valley Reading Council and Illinois English Teachers' Association. She was a past member of the B & PW, White County Historical Society and the American Cancer Society. She served on the board of directors at the Guardian Center and received their Friend of the Children Award in 2012. She is survived by a son and daughter-in-law, Steven and Nanette Heckler of Oxford, GA; a sister Anna Lou Graham, of Adamsville, TN; three grandchildren, LCpl Forrest Lee, USMC, Audrey Lynn and Tristan Lee Heckler and a sister-in-law Betty Jean Kloepper of Tupelo, MS. She was preceded in death by her husband, parents and a brother Raymond Phillip Kloepper. Funeral services for Ilene Mae Heckler, 88, of Carmi will be held at 1:00 p.m., Saturday, November 17, 2018 at Campbell Funeral Home in Carmi. Burial will be in Oak Grove Cemetery in Grayville. Visitation will be from 11:00 a.m. until service time at 1:00 p.m., Saturday at Campbell Funeral Home. Memorial contributions may be made in Ilene's memory to the Guardian Center and will accepted at Campbell Funeral Home in Carmi.